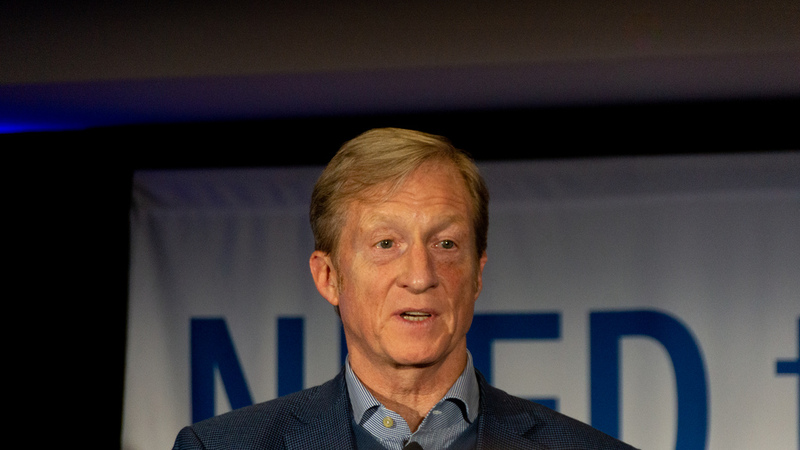 (Lionel Parrott, Liberty Headlines) Tom Steyer, the billionaire hedge fund manager and liberal activist, is committed to seeing President Donald Trump impeached and removed from office. How committed? Steyer wants top Democrats to act now to impeach the president – and if not, he’ll spend some of his vast fortune to get them removed. According to POLITICO, Steyer plans to target a number of Democratic committee chairs. But he’s also considering going after the three highest-ranking Democrats: House Speaker Nancy Pelosi (D-Calif.), Majority Leader Steny Hoyer (D-Md.) and Majority Whip Jim Clyburn (D-S.C.). And here’s something that should make Steyer’s targets very afraid: his lead strategist, Kevin Mack, says that the Need to Impeach PAC has almost unlimited resources to spend in whatever districts they target. They’ve already committed $40 million to the effort, which includes television and digital ads, as well as paid staff and volunteers to mount a ground campaign. The calculus for top Democrats is clear: they’re afraid that impeachment, the ultimate act of resistance against Trump, would lead to disaster for their party in Congress. Having just gained control of the majority in the House of Representatives, the party’s top brass is loath to go along with it. But Steyer thinks a couple of very well-funded primary challengers could change their thinking. So far, Democrats – including Pelosi – aren’t budging. The bad news for Pelosi and her lieutenants: Steyer’s got billions to waste. And a commitment to impeachment that borders on obsession. There’s a good chance he’ll try to take out his fellow Democrats if he thinks it will bring him closer to removing the president from office.